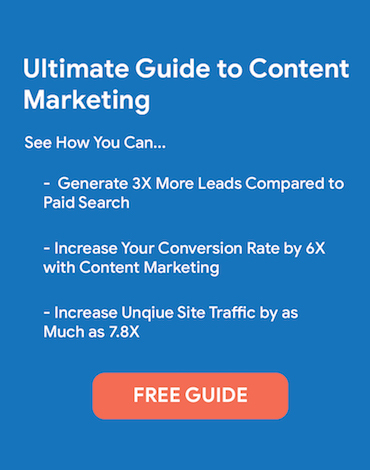 Editor’s NOTE: We have updated this list with more than 150 best content marketing examples. As a content marketer, I am always looking for brands creating content I wish I created, the best video content, and general business and marketing inspiration. I’m also continuously asked for sites I think are doing an amazing job of executing a branded content experience. I think it often helps brands who might need that little push into content marketing, to see what others are doing. What brand content marketing hubs do you LOVE? The criteria I used was pretty simple: They had to be examples of a brand-owned content hub. I am not looking for great examples of “campaign” content like Chipotle Scarecrow, Dove’s Real Beauty Sketches or the enviable Volvo Epic Split. We are looking for examples of brands who continuously and consistently publish content on a site they own – like a media company. After making this request, I received some great examples from my friends and even some strangers on Twitter and Linkedin. There were a few repeats and a few that didn’t make the cut. But here is the complete list, separated by B2B and B2C, in no particular order. Now I know there are more great examples out there. So please keep the suggestions coming? Adobe’s CMO.com is a great example of a brand content hub that seeks to deliver content their audience is looking for, without all the hype and promotion common on most brand experiences. I actually became a loyal fan to this site and for months had no idea it was owned by Adobe. Lesson for brands: create promotion-free content hubs and use the platform as a launching point for a deeper customer relationship. This is probably the most frequently cited and oldest examples of branded content hubs. I often hear marketers saying they want “to create our own version of AMEX OPEN Forum.” And for good reason. The site provides an amazing customer experience, publishes great content every single day. And they have made no secret of the fact that this site is their largest source of inbound leads for their small business card division. 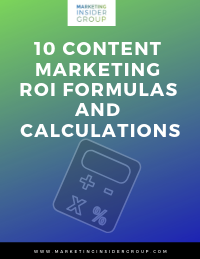 Lesson for brands: It may take some time to get it right, but branded content marketing hubs can provide a return on investment (ROI). I love their mission statement: GE Reports is a daily, award-winning online magazine published by GE. The website and its companion Twitter handle feature stories about innovation, science and technology, as well as viewpoints on important issues regarding GE and the world. Lesson for brands: Find the intersection of your brand purpose and the topics your audience is interested in. The 2nd example from this amazing brand doing great things in content marketing. (GE also has some great content running on Vine and Tumblr). This site is “sponsored by GE” and represents a good example of acting like a publisher and taking the brand almost completely out of the stories you publish. Lesson for brands: Sometimes thinking like a publisher means you have to take bold moves and big stands on today’s biggest issues. Intel has done a great job with it’s IQ site of getting to some of the more human and personal stories behind technology and innovation – topics that are already covered by so many media sites and brands. Intel have really set themselves apart with a combination of great design, a personal storytelling approach and consistent distribution. Lesson for brands: Tell stories about the people and the human connection behind the things that interest us. Lesson for brands: For complex businesses, it might make sense to start small and build on your successes. Some of us in marketing are starting to become slightly obsessed with the BufferApp blog. I am also a loyal user of their tool. But it’s hard NOT to read some of their posts like 10 Simple Things You Can Do Today That Will Make You Happier, Backed By Science. That post has 23,000 shares and more than 210,000 likes on Facebook! And that’s their trick. Create content people can’t NOT read. (Double negative totally intended). Lesson for brands: think bigger than yourself and what you sell. Help people with their biggest problems and you will earn their attention. 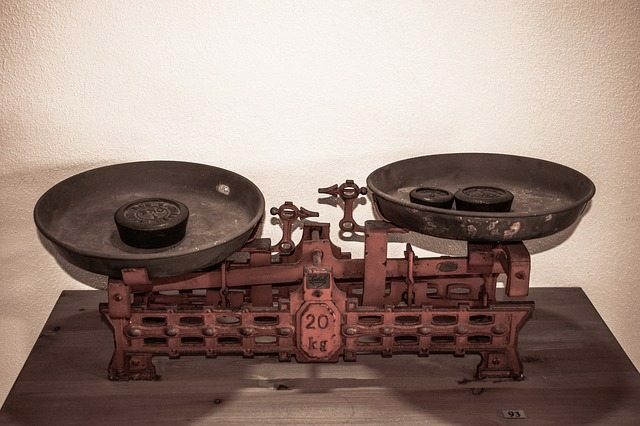 Hubspot has been a shining example of content marketing almost from the very beginning. They have been consistently providing highly useful content, across many formats. The mantra at the heart of the Hubspot approach: answer all your customers’ questions. The motto championed by Marcus Sheridan and one I truly believe in and try to execute here on this blog. 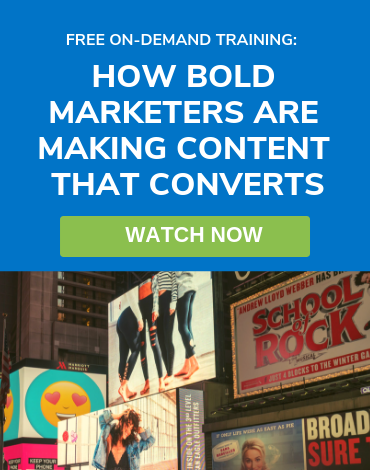 Lesson for brands: you don’t have to over-think content marketing. Identify your customers questions and publish content that answers them. Salesforce is a fierce competitor in the best branded content marketing space for one main reason: they fully understand the power of delivering helpful content that people AND search engines love. There are fewer search terms that are more competitive than many of the spaces Salesforce operates in: CRM, Customer Service, Sales and Marketing. And Salesforce is relentless about covering each of these content areas with a focus on what people need to know and how to rank for those terms so their blog can be found. Lesson for brands: when we have a question, we ask Google. SEO is still a very important. (Disclosure: I started this blog while at SAP and they’ve re-branded a few times since. So, I might be a little biased.) When we started this site, our goal was to emulate some of these awesome examples of brand content marketing hubs you see above. We sought to answer our customers’ biggest early-stage search questions. We refused to publish promotional content. We continuously optimized the design for conversion. And we created a solid business case for the shift from paid, to owned and earned media. Lesson for brands: Define a solid business case and clear objectives up front and stick to your guns once the plan is approved. (Disclosure: this is a NewsCred-powered site.) When I joined NewsCred and became exposed to the Content Loop, I was really blown away at the approach. But don’t take my word for it. Check it out: they use attractive licensed content from well-known publishers to post on Linkedin. When someone clicks on the article it brings them back to their brand content hub. The readers are then invited to follow them on Linkedin, are exposed to deeper forms of thought leadership content and they are invited to connect directly with consultants. 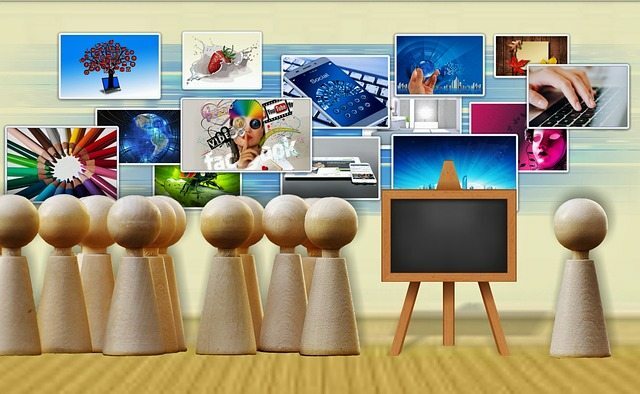 Lesson for brands: great content can drive engagement, community and direct leads for sales. Target does a great job creating a Life and Entertainment-style online magazine with great tips on recipes, fashion, and tips on managing major life events like back-to-school and the holidays. They bring their bold brand and fashion on a budget approach to life with the stories they tell. With tips like 9 Ramen Hacks For Your College Dorm, how could they go wrong? Lesson for brands: Focus on serving your audience and bringing your brand to life in an authentic and engaging way. I’ve covered content marketing lessons from Red Bull Media House recently and so have so many others. There is a reason this brand is leading the way in building a publishing business that supports the reason behind the products they sell, and is the envy of many in marketing. Because these guys get the power of effective storytelling. Lesson for brands: Take the buzz phrase “act like a publisher” literally. Divert paid media dollars to create in-house production resources and brand assets that will provide value in the long term. This blog from P&G is nothing flashy but it provides useful tips for that classic P&G target audience of “busy Moms on the go.” The style is completely consistent with every television ad you may have seen or coupon insert you may have clipped way back in the day when your family received the weekly newspaper. Lesson for brands: know your target customer and deliver the things they want or need in a simple and useful way. This highly stylized blog from the provider of upscale cooking utensils, appliances and ingredients appeals to the high-end luxury market they are catering to. Ever heard of DUMBO New York? Short for “Down Under the Manhattan Bridge Overpass,” DUMBO is hipster cool for Brooklynders and you can learn all about it with these trendy takes on the old city guide by AirBnB. The Anthropologie blog is a never-ending scroll of design, fashion, travel and music that is consistently lined up to their target market and brand essence. Lesson for brands: You can separate e-commerce and content while creating value for the brand and traffic back to your stores. This leader in the “maker movement” uses their blog to highlights the best “shops” they support through interesting stories, editors’ picks and DIY projects. This site essentially re-imagines the way they merchandise their talent by focusing on the best stories and curating interesting and popular shops and shop owners. Lesson for brands: think outside the traditional merchandising box and imagine how to highlight the stories behind what you sell. Billed as “the place to feed your fix for recipes, food hacks, how-tos and party ideas” this site from General Mills is almost completely unbranded and serves to drive community around more than just recipes. The folksy approach gets to the heart of their target audience who is passionate about food and sharing recipes. Lesson for brands: Focus on building community around your branded content marketing hub based on your audience’s passions. Lesson for brands: any business model can be extended through a branded content marketing hub. 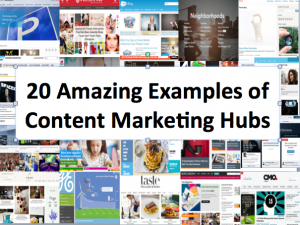 There you have it: 20 amazing examples of brand content marketing hubs. What’s your favorite? And what examples have I missed? This is a great list, Michael! Plenty of good takeaways. Thanks for sharing. I’m wondering if you’ve ever seen the Staples Business Hub: https://www.staples.com/business-hub We have lots of great tips and advice for small businesses about marketing, operations, management, technology and other topics. The Content Marketing Institute even awarded us a Silver award for Most Improved Editorial in 2014. Love it Martin. I will definitely keep you on the list. Great job and congrats on the award! 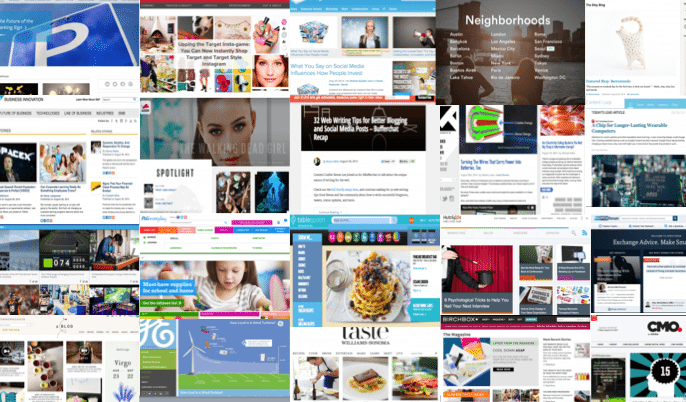 This is a great post of companies that are doing well with content marketing. 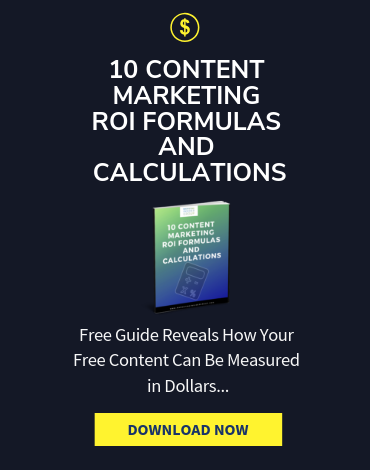 All of these companies have huge budgets and massive amounts of followers, are there smaller companies also doing well with content marketing, that you know of and can show off? I’d love to see how they are stacking up. Mary, thanks so much for your support and great question. I think in my head I was thinking about large company portals from the start. But interestingly, Hubspot, Salesforce and definitely Buffer all started their approaches when they were still very small and young companies. Buffer is still a relatively small company. So I would point to those folks first. I think there are a ton of smaller company examples, especially from my friend Marcus Sheridan and his River Pools and Spas example. But I would love to hear any other examples? Just bookmarked this. These are great examples of cutting edge pivots and content marketing at its best. Something to aspire to! Thanks, Michael. Thanks Rodney, each of these are great for their own reasons too. Lots of lessons learned here. I agree and thanks Michael. I plan to spend time on each of the sites as examples. These are great examples, thank you for sharing! I particularly like Intel’s IQ as it’s a great example of internal advocacy as well as great content marketing. Another great example is http://www.workintelligent.ly, a client that we work for. Ricoh provided a digital magazine/hub that aims to be helpful, relevant, and useful for the target IT audience. Hope you enjoy! Thanks Jonathan. That is a great example. I knew there had to be more out there. We need to help all these brands (and their agencies) get the credit they deserve. Agree Michael. We did win a bronze for Best Overall Editorial via CMI, which was great, but still out to conquer the (B2B) world! I really like the (multiple) content hubs created by Perth, Western Australia property builder Ventura Home Group. https://vhgroup.com.au/ They have a number of brands and have created content hubs to appeal to each specific brand. The hubs are interesting as stand-alone sites but when you look at them collectively, it shows a huge commitment to content. They’re not a big company when compared to your other examples so it’s particularly impressive. Sarah, this is really great feedback. Thanks so much. I have been looking for great examples in the smaller biz space. Please keep em coming! Thank you for this really interesting article. Knew some of them but did not most of them. May I suggest our project for Sanpellegrino? It is a web-magazine about fine dining. It has seen the light few years ago in Englis and later arrived an italian edition, I think there could be one in french as well. Have a look! Thanks Francesca, that’s a great site! This is a great overview and very helpful, Michael! or the B2B hub from Fujitsu https://www.master-your-business.com/ ? Great examples. Thanks so much Michael for sharing them with everyone here. Great list Michael. Is there a way to find out what service solution or software was used to create some of these great Hubs? Thanks for sharing ! Precious work. Hi – thanks for the amazing list. We at Ogilvy Cape Town recently launched http://www.addsomeflavour.co.za for local SAB beer called Flying Fish. It’s a lifestyle focused magazine aimed at 18-28 year olds in South Africa. Nice Melissa, thanks for sharing this!